The winner of the Citizen of the Year Award will be announced during the 98th annual Marion Chamber of Commerce Awards Banquet & Auction on Friday, January 18 at The Pavilion. The event begins at 5:30 p.m. Tickets to attend are $60/person or $400/table (seats 8) and are available by calling the Marion Chamber of Commerce at 618.997.6311, visiting marionillinois.com or emailing director@marionillinois.com. Members of the Marion Chamber of Commerce were asked to submit nominations in November for the Citizen of the year Award. Nominations were sought for individuals who have shown significant contribution to our community and who have excelled in a field outside of the Chamber. The Citizen of the Year Award finalists and winner were selected by the Marion Chamber of Commerce Awards Committee. Below are the biographies submitted by the finalists. 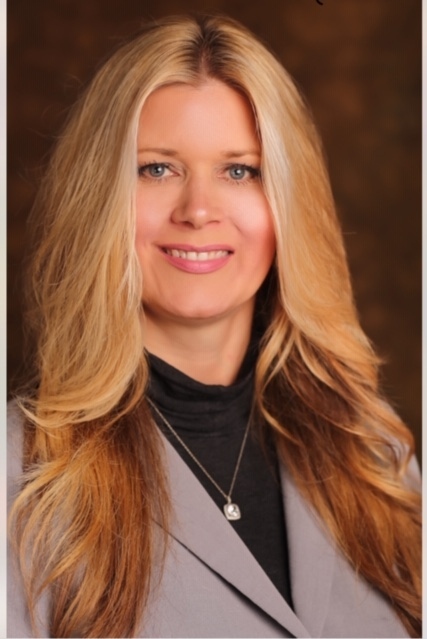 Adkins holds an associate’s degree in nursing from John A. Logan College, a bachelor’s degree in nursing, and a master’s degree in business administration from the University of Phoenix. Adkins worked as a Critical Care RN for Marion Memorial Hospital/Community Health Systems from 2002 to 2003, Aureus Medical Staffing Agency in Omaha, Neb. In 2003, and StarMed//IntelliStaf Staffing Agency in Carbondale from 2003-2005. After Adkins served as the Critical Care RN and Preceptor for Heartland Regional Medical Center from 2004-2005, Adkins worked for Southern Illinois Healthcare’s Herrin Hospital as the Director of Critical Care Services for the ICU and ED from December 2005 to March 2011. From March 2011 to June 2015, Adkins was the Chief Nursing Officer for Heartland Regional Medical Center. Adkins served as Chief Nursing Officer of Community Health System’s Physicians Regional Medical Center in Knoxville, Tenn., from June 2015 – February 2017. Among the many certifications and awards Adkins has received are the Community Health System Excellence in Nursing Leadership Award in 2012; BLS, ACLS, PALS certifications; National Service Award for Excellence in 2009; and National Pinnacle Award in 2008 for Most Empowering Manager. Since arriving in Marion on February 16, 2009 as Pastor and teacher of Zion United Church of Christ, Rev. John Holst has sought ways to serve this community. It was part of Holst’s “Call Agreement” when he and the congregation at Zion UCC discerned that God had brought them together. Holst served five different United Church of Christ congregations in his 32 years of ministry beginning in 1986. That same year, Holst and Sara were married as Holst began graduate school at Chicago Theological Seminary and his first pastorate in Hinsdale, Illinois. Sara, an early childhood educator who works at Jefferson Elementary, shares the same passion for community service and outreach. They are an incredible pair. Holst and Sara are as well known to kindergartners at Boyton Street, the homeless community around us, and our World War II veterans as they are known to the congregation at Zion UCC. Holst has served on several boards of charitable and social service organizations in every community he has lived in. By his own design, he is a hands-on member of every organization he supports. Getting to know the guests and working alongside other volunteers is always the first order of business for Holst. In the Marion area, he has the joy of serving alongside some tremendous volunteers at Habitat for Humanity, Marion Ministerial Alliance, Boyton Street, Lighthouse Shelter, and Veteran Honor Flight. 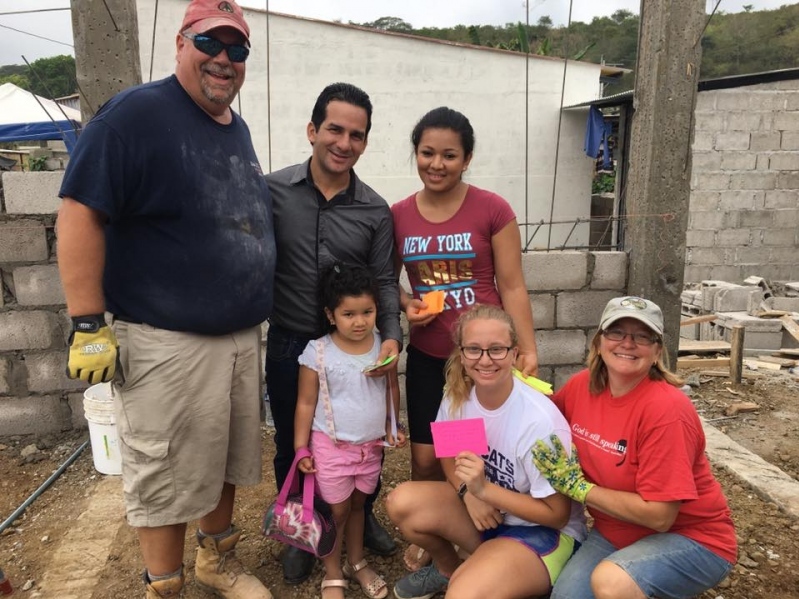 Holst believes in helping to create and, yes, convince others to take an interest in volunteering in their communities which he does through his membership in Kiwanis Club, Rotary, and the Chamber of Commerce. In the community, he facilitated conversations on race, violence, hunger, education, and spiritual development. Holst has served as mentor, friend, leader, follower, director, husband, father, ally, activist, and missionary. “Like anyone who would be considered for such an acknowledgement, I would want all to know that we live in an amazing community and I am just a vessel helping connect others with those blessings,” Holst said. “In the Marion community, I celebrate teachers who understand that hunger is the greatest challenge that many of their students face, not just getting their homework done. “I celebrate the directors of The Promise who, at great cost to themselves, provide a safe setting for those who suffer from chronic hunger, homelessness, and, in many cases, undocumented mental health issues,” he said. “I celebrate the hundreds of volunteers who hold the hands, prepare and serve the food to our guests at the Marion Ministerial Alliance and the Lighthouse Shelter. “I celebrate the volunteer and staff coaches who provide leadership, modeling, and direction to the vulnerable young in our community. I celebrate the thousands of citizens who come out at night to welcome home our veterans or heroes after a day of memories and tears in Washington DC,” he continued. “I celebrate parents who create a safe setting for not only their children but their children’s friends who may not have a safe home. I thank them deeply for they are truly my heroes even as I might be the focus of this award. 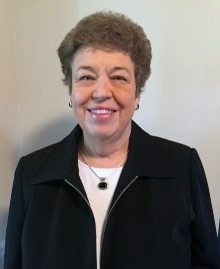 Jane Stiritz is a lifelong resident of Marion, having graduated from Marion High School in 1969. While studying at Southern Illinois University in Carbondale, Stiritz was a student worker in the Educational Administration and Foundation Department at SIUC, a summer recreation worker for Department of Children and Family Services at Hurst-Bush Children’s Home, a summer clerical worker for both the Marion Water Department and the Williamson County Tax Assessor’s Office. Stiritz graduated with a bachelor’s degree in elementary education and special education from SIUC in 1973. Stiritz taught special education at Marion Junior High School from 1973 to 1978 and at Washington Elementary School from 1978 to 1994, during which time she coached the Marion Junior High School 7th grade girls basketball team to a winning record each season. In 1994, Stiritz graduated with a master’s degree in educational administration from SIUC. Stiritz served as the principal of Jefferson Elementary School from 1994 to 2005, and of Lincoln Elementary from 2005-2010. The first Citizen of the Year Award was given in 1970 to Clara Boatright. Last year’s winner was Beau Detrick. Past winners of the Citizen of the Year Award can be viewed at www.marionillinois.com/award-winners. 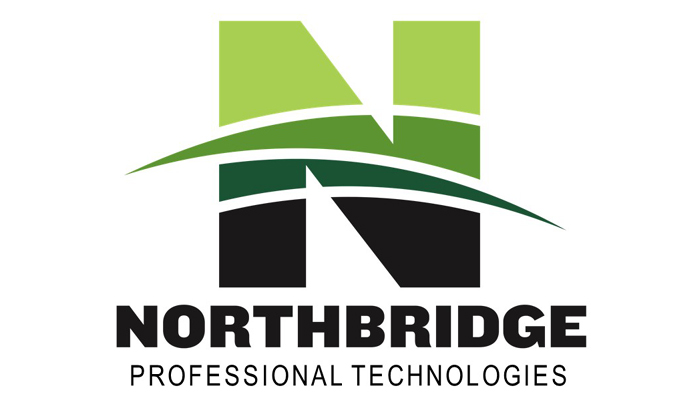 The sponsor of the Citizen of the Year Award is Northbridge Professional Services.